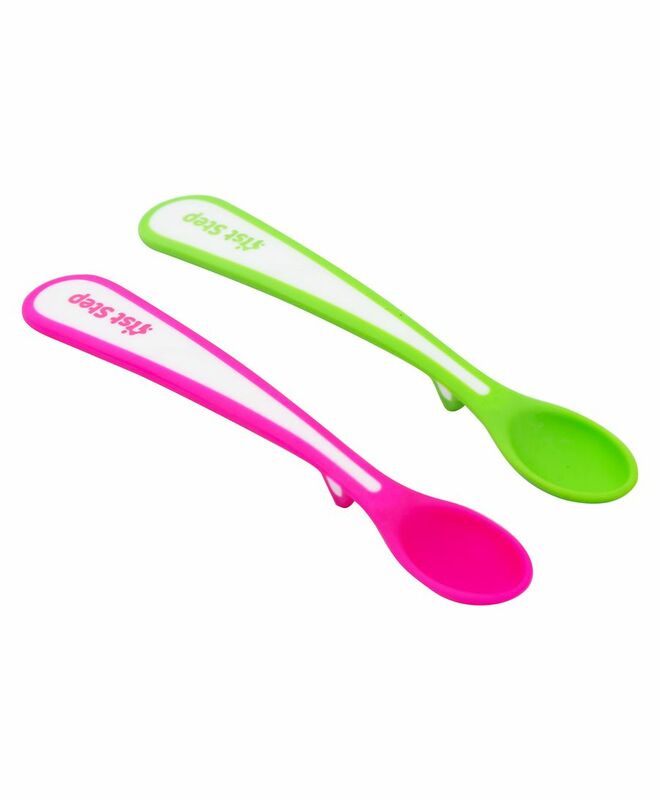 This spoon set from 1st Step is ideal for baby's first feed. The soft tip is gentle on baby's tender gums. Suitable for babies aged four months and up. the product is good and soft for baby to eat. but the blue spoon subsequently changed its color to an orange tinge due to food even after immediate washing every time. it has soft edge, cute color, comfortable for feeding my baby. it doesnt work well to feed semi solid or paste foods.. the contents level off and remain in spoon when fed to baby. good to feed liquids . good.reasonable price compared to other brands.